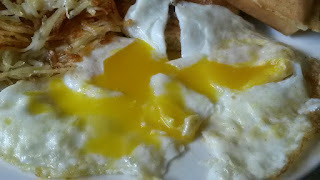 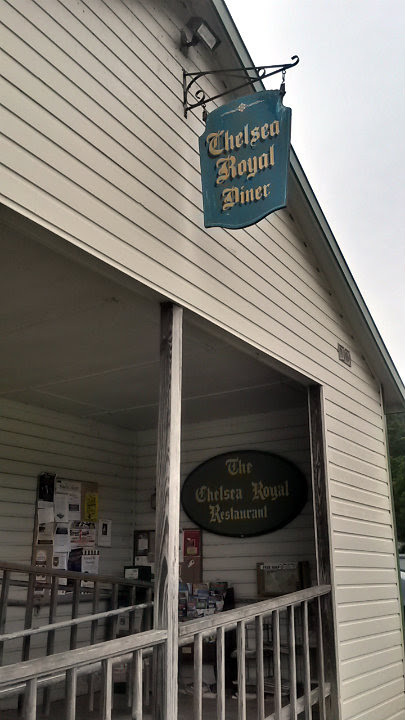 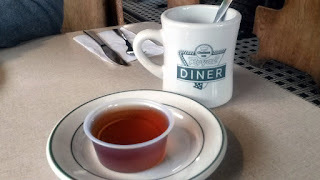 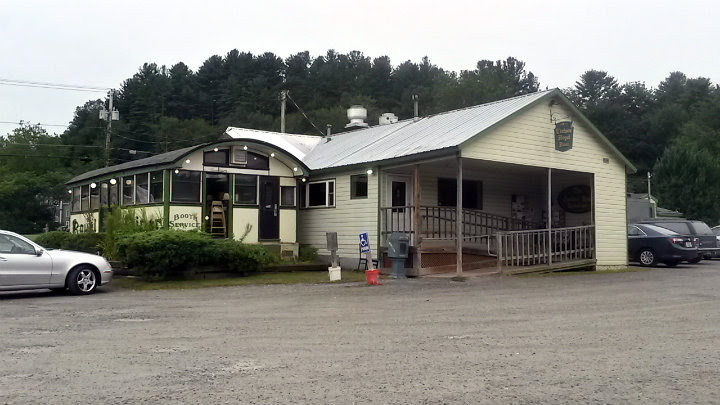 Chelsea Royal Diner is located on Marlboro Road is West Brattleboro, Vermont. Started a full-day road trip through Vermont with this diner spot. It's just a few minutes from the VT-MA border. 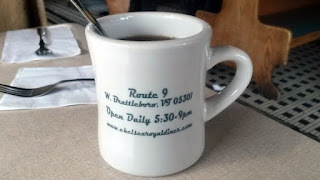 I tried to stick as close to I-91 as possible to keep on schedule better. This part of West Brattleboro is again a small-town feel, almost like we were out in the boonies a little. 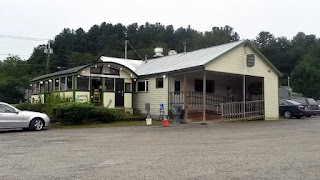 A shop here, a house there. 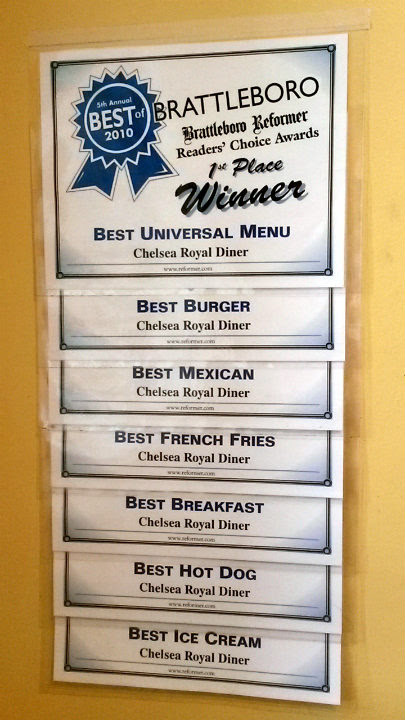 Chelsea Royal Diner has won awards in Brattleboro for various menu items. 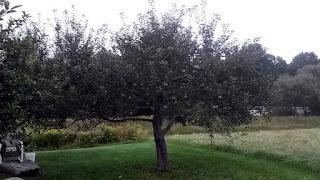 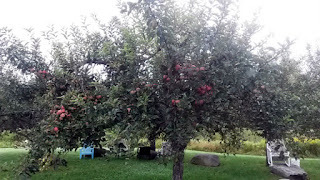 There are also apple trees outside. Again, awesome diner feel with booths and counter seating. 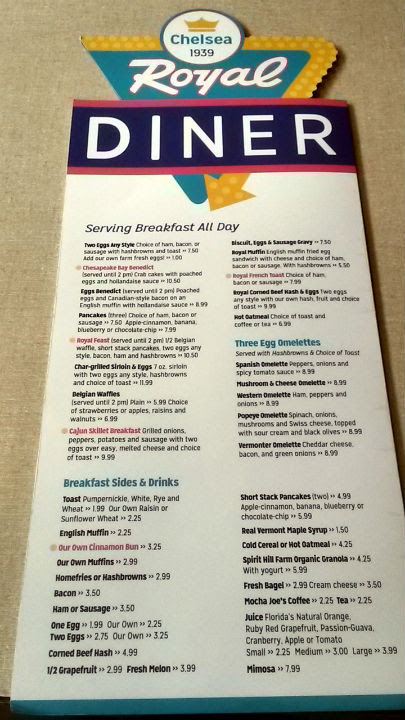 There are daily specials. 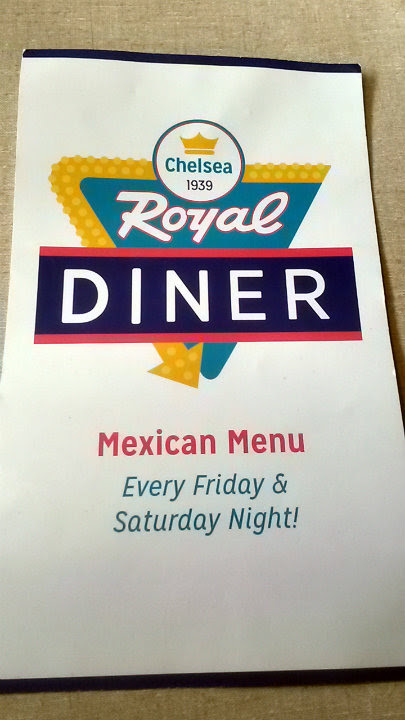 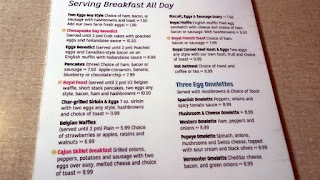 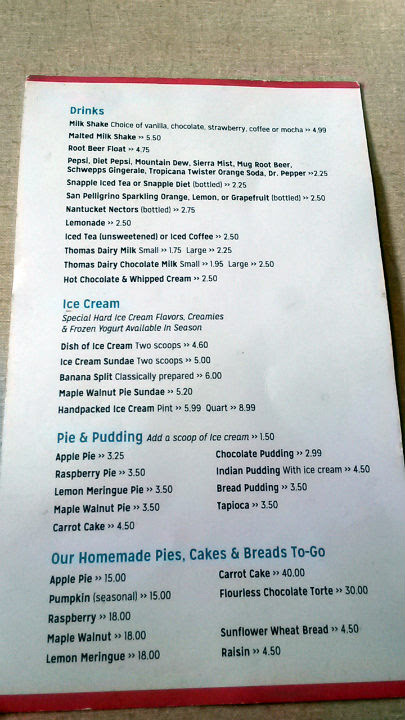 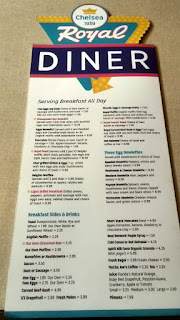 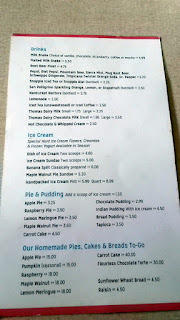 The menu is typical diner fare. 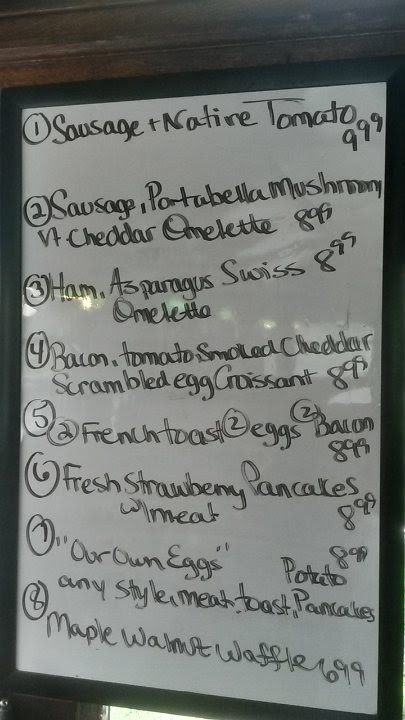 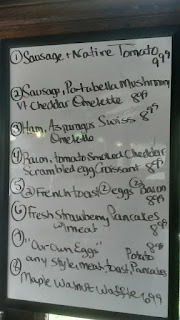 Breakfast served all day. 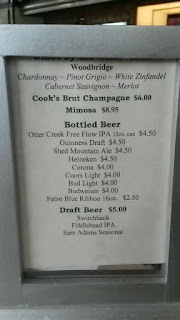 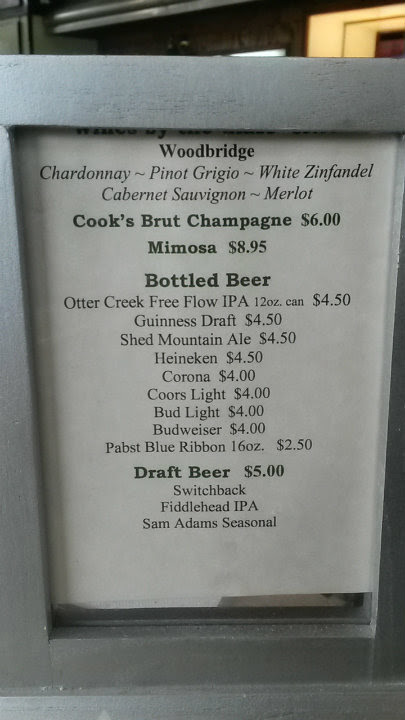 They had a small beer list. 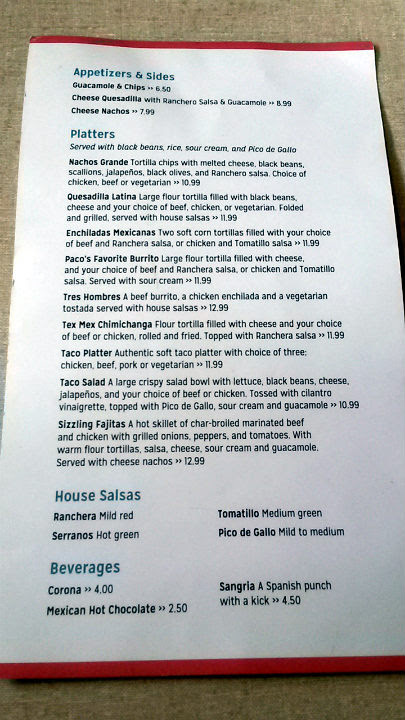 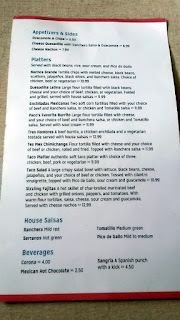 Heck, there's even a Mexican food menu, which I found quite random. 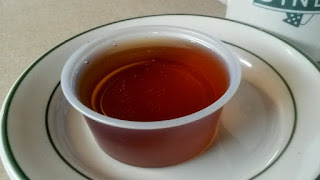 As you'd expect, they serve real maple syrup if you ask - courtesy of Matt's Maple Syrup in Marlboro. Of course, I got coffee as usual; typical solid cup of joe. 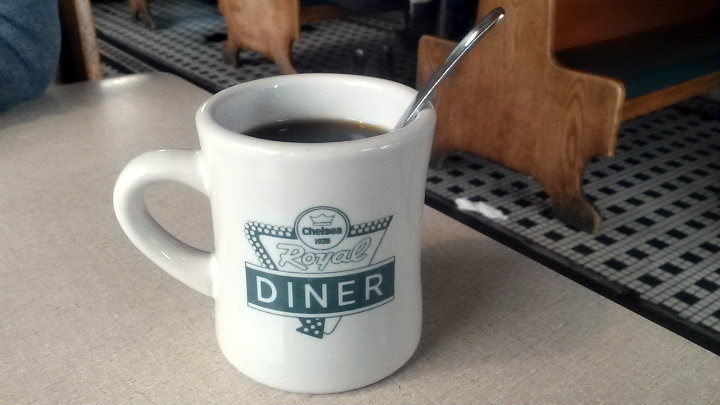 Chelsea Royal Diner has their own coffee mug. The Royal Feast ($10.50) is served until 2 PM. 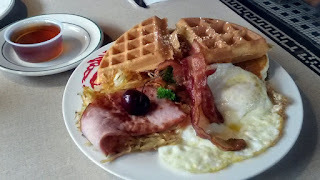 It has half a Belgian waffle, short stack of pancakes, two eggs any style, bacon, ham, and hash browns. 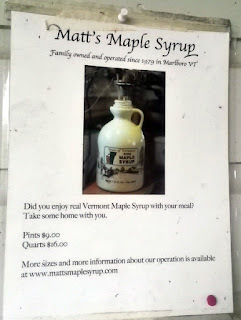 Naturally, we sprung a bit more for the real maple syrup. 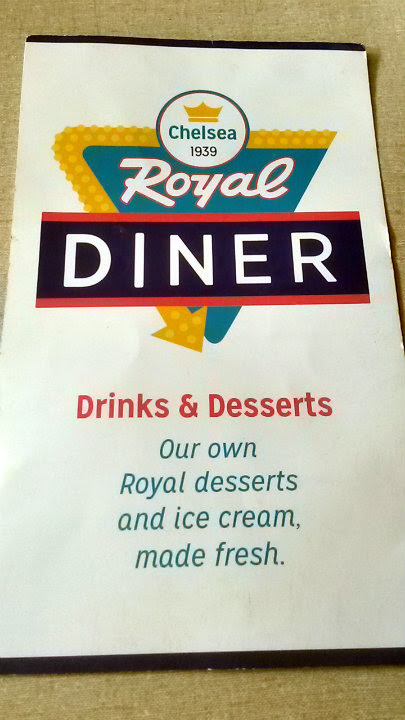 Once you have the real deal, it's hard to go back to the artificial stuff. 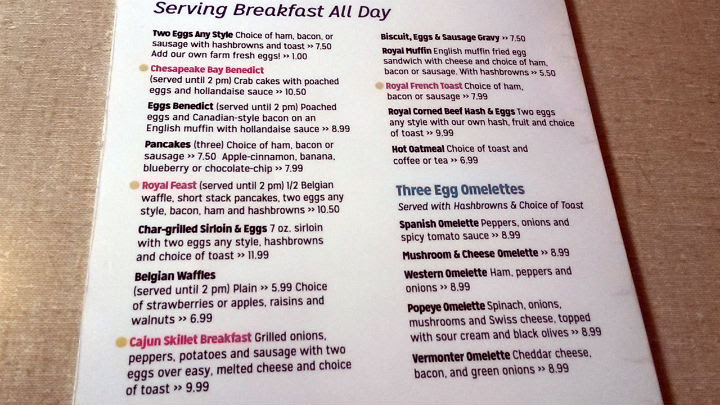 You can tackle the Royal Feast by yourself or split it with someone else. 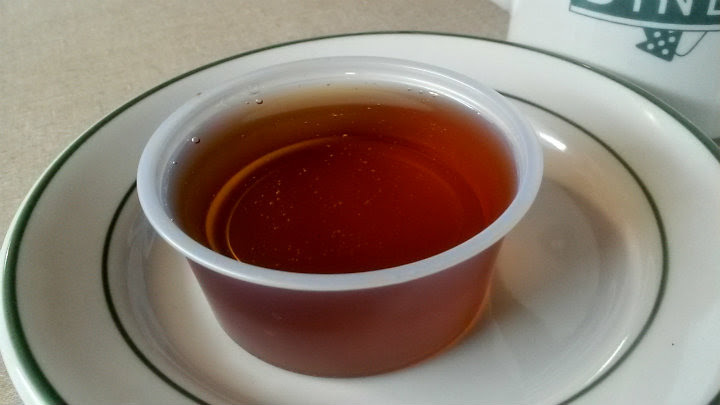 It's a good-sized helping that should satisfy a big eater (of "normal" appetite, anyway). 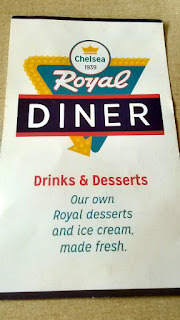 Everything was well made. 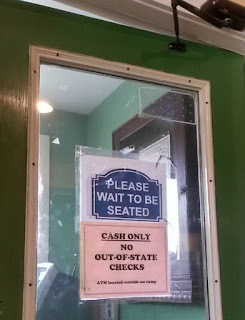 They don't accept out-of-state checks and only take cash. 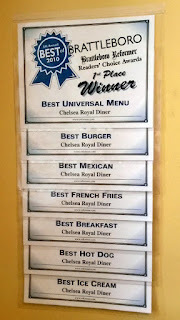 Perhaps they've been burned before on this?